MADANG Fox FC have been given the green light by the National Soccer League board to be readmitted into the semi-professional football challenge this season. PNG Football Association senior vice-president John Kapi Natto, who is also the NSL chairman, said yesterday that the franchise club that had paid the fees required and met the criteria of submitting an expression of interest was eligible to participate this season. However, he added that if the franchise club failed to pay, they would have defaulted and would not be part of the competition. He said Madang Fox had paid and could start preparing for the season starting next month. Kapi Natto made the clarification after Madang Fox and Madang United claimed that both sides were eligible to participate in the 2010-11 season. The eligibility of either clubs had created some misunderstanding and confusion among business houses and the soccer community in Madang. He said the board had extended their deadline to Sept 24 for all franchise clubs to pay their fees. 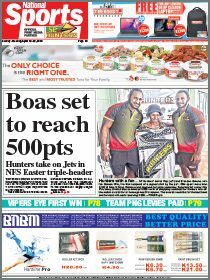 Apart from Madang Fox, the board also confirmed that Petro Souths FC (Mendi), Tukoko University FC, Gigira Laitepo Morobe FC, Besta PNG United FC, Eastern Star FC and Hekari United FC, would be participating in the 2010-11 NSL season. Kapi Natto said since the money was paid by Conrad Wadunah, who was acting on behalf of Madang Fox, the club should start preparing the season. Wadunah, who is also Madang Soccer Association president, said he was relieved that the differences and misunderstanding were resolved between the two groups. Wadunah said he would be calling an urgent meeting to confirm the recruitment of the players for the side. He will be recruiting from players from the Madang U20 soccer side and few experienced players, Charles Posenau, Armstrong Peka, Jalmal Seeto, Vanya Malagian, Neil Hans, Tarcissius Gringo and Adrian Komu. Kapi Natto has also appealed to business houses, stakeholders, players and supporters to put their differences aside and work together to provide something for Madang soccer youths. Team Madang in the past were performing below par because of the indifferences between players, officials and supporters making it difficult to attract corporate backing. Wadunah re-iterated that he supported Kapi Natto’s comments that Madang soccer fraternity should put their difference aside and work for the betterment of the young players. 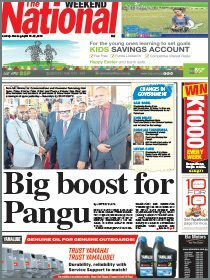 He said the recent U20 soccer challenge had proven that Karkar Island and Malala Secondary School had huge talent if their performance during the PNG U20 tournament was an indication.